I created this diagram for a typographic & information design course I took at Pratt. 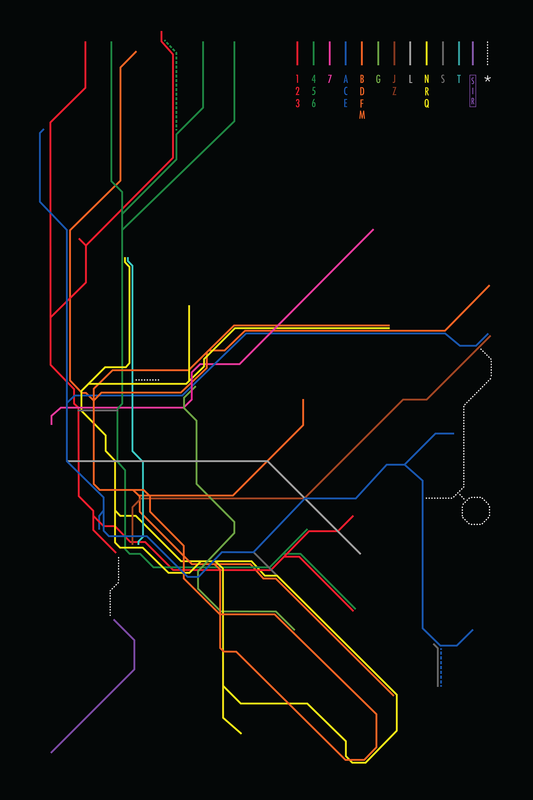 This diagram is not intended to be used as a navigation tool, but instead meant to illustrate the layout of the subway system in a simplified and streamlined manner. I was inspired by the patterns of circuit boards, and see many similarities between them and the subway system.